I think of Mitchell Johnson as the lone wolf of contemporary painting. He’s showing everyone else the way to skirt the system, both academic and commercial, and still make a mark by finding new ways to make modernism his own. I keep watching his feed and envying how much energy he’s able to concentrate into his prolific output. 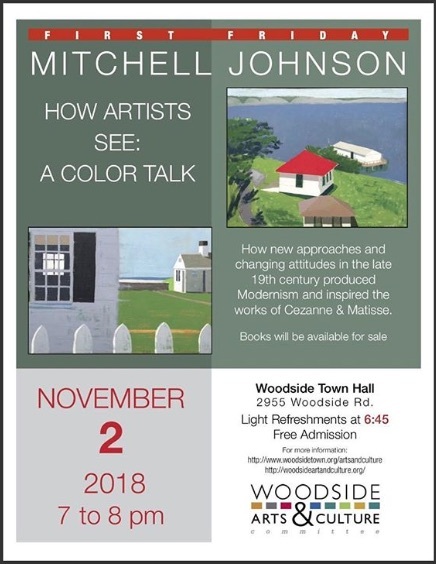 I wish I could have attended this lecture, because the subject really says it all for me: so much of what I love in painting follows from Cezanne and Matisse, even if that awareness is hard to discern in much of what I do. It’s there, though sublimated, yet it’s at the heart of what I respond to most strongly in the work of others. You are currently browsing the represent weblog archives for the day Saturday, November 3rd, 2018.